Rachel Dempsey has been running Global Harmonies workshops since 1997. These workshops began quite by ‘chance’. Rachel was living in London in the 90s, and involved in promoting Latin American music, singing in an an female multicultural acapella group and taking classes in African harmony singing (amongst other musical activities!). Rachel would come home for holidays to Dublin, where her mum was singing with a group of women friends, called ‘Na Preachain’ (The Crows). They invited Rachel to teach them some new songs, she ran a few workshops, and kept at it to this day! Rachel had always loved harmony singing, and remembers a visitor to her class teaching a Native American chant when a 7 year old pupil in the Dalkey School Project (the first Educate Together school in Ireland) and then being asked to teach it to every other class in the school, along with a little pal. In secondary, Rachel discovered Taize chant and will never forget the mesmerizing feeling of hundreds of voices tuned in to one another in song, almost becoming one, at a school trip to a Taize meeting in Poland in 1989. Over the years Rachel has taken many courses, workshops and private lessons in singing and musicianship e.g. with Waltons New School of Music, Kensington and Chelsea College, and with Carole Nelson, Guillermo Rozenthuler and others. She sang with Dublin based Latin band Candela for about 8 years till 2010. Rachel is a graduate of Latin American Studies (BA), and spent a year Colombia researching salsa and discovering Colombian/Latin music in places like the Instituto Popular de Cultura, Cali. She later went on to complete an MA in Ethnomusicology in Queen’s University Belfast. 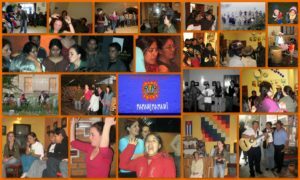 Through this course, Rachel made the link between her own experience of deep peace and unity in harmony singing & chanting and the reality that many cultures around the world place enormous importance on music, voice and sound to create and maintain personal, community and spiritual harmony. She decided to delve further and wrote her MA thesis on ‘The Voice and Healing’, which was a wonderful opportunity to attend workshops by great voice facilitators such as Jill Purce, Chloe Goodchild, James D’Angelo, Reem Kelani, Michael Ormiston amongst many others. Later when living back in Ireland Rachel studied ‘Music & Sound in Personal Development and Healing’ with Daniel Perret, over 2.5 years. Rachel has been privileged to have gained deep insights into the importance of music, sound and voice for many communities around the world. In 2003 she traveled to carnival in Rio and Recife to made a radio documentary ‘In Tune With Brazil‘ about how music is used to express identity and overcome exclusion in Brazil, with the Latin America Solidarity Centre. In 2006, Rachel travelled to Bolivia with herbalist Judith Hoade to meet women’s groups, including a group working to empower indigenous midwives to breathe life back into their native knowledge. 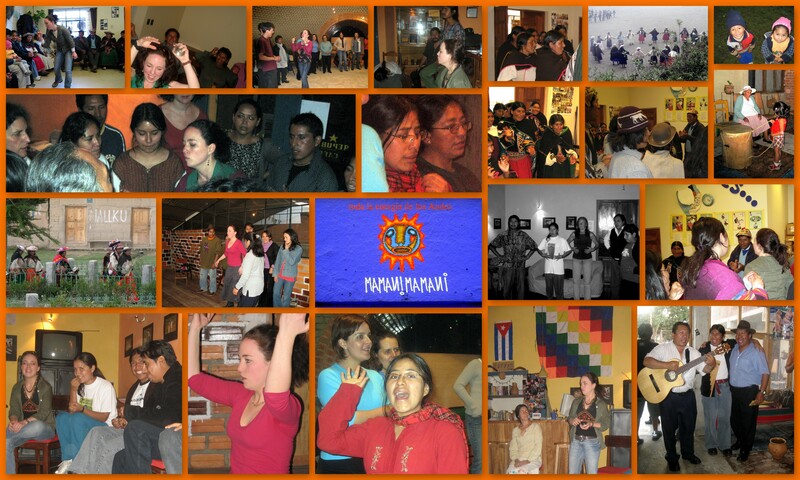 Rachel offered workshops in using the voice to destress and empower to diverse groups including indigenous villagers, female prisoners in La Paz and young rappers working on a community radio project. In 2007 Rachel spent a week helping the amazing Aboriginal kids in the Yirrkala Community School in Australia’s remote Northern Territory with their vocal skills. They recorded this track, check out the spontaneous harmonising, the addition of the ‘this is my land, this is our land’ motif and the Yidaki (didgeridoo) playing the lads did. She has also travelled to the remote Malian Sahara for the incredible Festival of the Desert . This was an annual celebration of Tuareg, Malian, African and World music which has been ‘in exile’ for the last number of years due to Islamic extremism in the area. Rachel currently combines a career as a development education officer for a Dublin community organisation LYCS (delivering workshop on global themes such as sustainability, women’s issues, food issues etc) with her Global Harmonies work, as well as raising two small boys. She is also training in Capacitar, a popular education approach to teaching simple multicultural wellness practices that lead to healing, wholeness and peace in the individual and in the world.